Basically fruit of your choice+syrup+water+ice cubes, the one that make them different is the possibility of the fruit inside the drinks. Living in Southeast Asia, either you already have it in your co untry, you can also make them if you never have them. 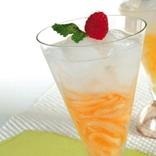 In Indonesia, the most popular choice is es buah or koktil (fruit ice or cocktail) (usually filled by a combination of papaya, pineapple, watermelon and other fruits with sugar syrup with cinnamon and clove). A rather famous newer innovation is sop buah (fruit soup) (grape, strawberry, melon, watermelon, apple, banana and other fruit with milk and coconut-pandan syrup). Es kelapa muda (young coconut ice) (shredded young coconut, coconut water, and syrup) can be made inside the coconut or inside a glass. The way to make setup is a little bit different than the others. Basically the fruits such as guava or pineapple is boiled inside sugar syrup with cinnamon and clove, sift only the water, and put it in the refrigerator. If you are fasting in this month, famous for breaking your fast are es timun suri (lemon cucumber), es pakel (Horse Mango, Machang), and es blewah (cantaloupe). Other ices are also available, such as es rumput laut (seaweed), es siwalan (young Arenga fruit) and es tape (glutinous rice tapai). All this jellies are quite the famous ingredients, in South East Asia, including in Indonesia. 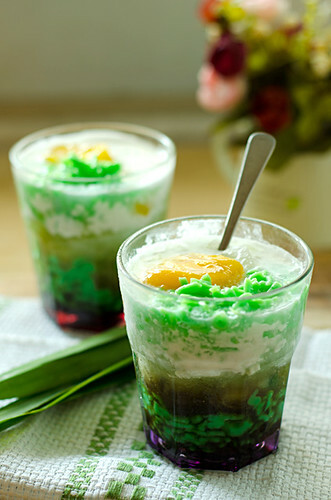 Cendol is a jelly made out from rice flour, hunkwe, or sago, while Cincau comes from Cincau plant. stalks and leaves. Nata de coco is made from coconut water. Mixed with syrup only or adding ot her ingredients, the three of the will work flawlessly inside your icy drinks. Dawet, is basically cendol drinks with coconut milk and brown sugar. Fusion drink such as capcin (cappuccino cincau) is available in drink stalls nowadays. Coconut milk is almost everywhere in Indonesia n drinks and ice. Coconut milk in Es doger is fully filled with fillings: red tapioca pearls, avocado, cassava and glutinous rice tapai, jackfruit, diced bread in coconut-pandan syrup and condensed milk. 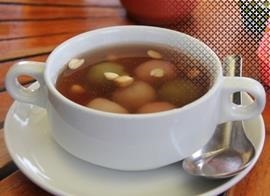 Es gempol is simpler, with rice flour ball inside the syrup. 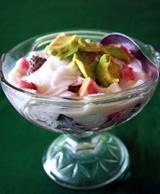 Es goyobod, in the other hand, use hunkwe, a jelly made from soya bean, other than avocado and shredded coconut. 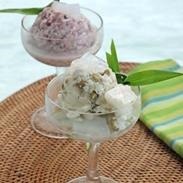 If you process the coconut milk the way you make ice cream, it will make es puter (literal: spinned/ whirled ice) , basically a coconut ice cream. Es oyen is very popular presently, other than coconut milk -condensed milk-syrup, it is filled with avocado, jackfruit, tapioca pearls, until basil seeds. You can also add durian and seaweed inside es oyen. 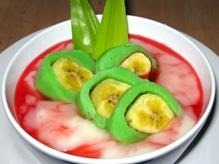 Coming from Makassar, South Sulawesi, both Es Pallu Butung and Es Pisang Ijo are including bananas inside its coconut mik. The difference is that Es Pallu Butung uses rice flour with the coconut milk while Es Pisang Ijo (literal: Green Banana) uses the rice flour dough to wrap its bananas. Coconut in shredded form is also everywhere. Es teler (literally means intoxicated) is a drink of young coconut, avocado, and jackfruit in shredded ice and condensed milk. Es campur (mixed ice) is syrup and condensed milk based drink filled with shaved ice, shredded coconut, fruits such as jackfruit or durian. It’s winter in southern hemisphere. And for those in the northern hemisphere, there is still cold nights in between the hot summer days. Hot drinks will be nice in these situations. You want it hot and you want it spicy, ginger is the answer. 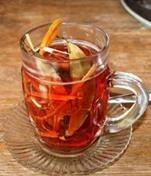 Many hot drinks in Indonesia includes ginger inside its recipe. The original is definitely wedang jahe (ginger drinks). Sekoteng fills the ginger drink with peanuts, diced bread, and pacar cina. Ronde, in the other hand, fills it with kolang kaling (young Arenga pinnata fruit), diced bread and ronde (rice flour ball filled with peanut). Bandrek is ginger drink sweetened by brown, coconut sugar, different from bajigur which doesn’t use ginger but use coconut milk instead. If you want it powerful, you can try STMJ or susu-telor-madu-jahe (milk-raw egg yolk-honey-ginger), which is basically all its namesake being mixed together. Similar with STMJ is Sara’ba from Makassar, South Sulawesi, ginger drink with palm sugar and can be mixed w ith coconut milk, milk, or raw egg yolk. Bir pletok and bir jawa, although both using beer in their name, are actually ginger based drink fully filled with spices. Bir pletok comes from Betawi ethnicity in Jakarta, while bir jawa is Yogyakarta’s sultan recipe. Teh talua is literaly egg tea. Coming from West Sumatra, the drink is made by adding sugar into egg yolk and mixi ng the result with tea. Secang (Caesalpinia sappan)’s stalk is the ingredient for wedang secang and its friend, wedang uwuh (literally: trash drink, because of the spices looks like trash), drinks from Yogyakarta Special Region. If Es Pallu Butung and Es Pisang Ijo uses banana in a ‘cold’ way, kolak, that also can be made cold, is banana, with sweet potato or pumpkin added sometimes in brown sugar syrup. There are also kopi tubruk (literal:slamming) (coarse grounded coffee boiled with solid sugar) and kopi joss (dark coffee with burning coal inside) for coffee lovers out there. Posted on August 20, 2014, in Culturing, Learning and tagged aseankorea, food, ice, indonesia, ramadhan. drinks. Bookmark the permalink. 1 Comment.